, Amazon, Yahoo!, or their own ecommerce website. MAP is a popular term that wholesalers use frequently; to work with them, you need to speak their language. If you’re looking for wholesale products to sell online, you need to be able to easily communicate with ‘potential’ wholesale suppliers. That’s why it’s important to understand ‘wholesale’ jargon – so you can confidently approach any wholesalers or drop shippers you want to work with. Learn the industry terminology you need to know to easily communicate with potential suppliers and make the most of your wholesale relationships in ‘Wholesale Tips’ 11-20. 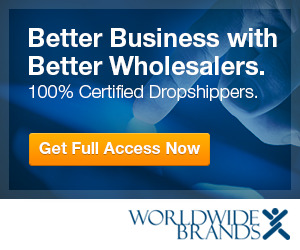 If you’re trying to beat the economic recession with online retail, or if you want to start an internet business, you need to see this wholesale tips video series brought to you by Worldwide Brands.